 The Community Foundation recognizes that many different factors contribute to healthy, vibrant, and livable communities. As such, we seek to connect the funds made possible by the generosity of our donors to the nonprofits that make our community one where people and place thrive. Field of interest funds support specific areas of interest, such as the arts, environment or education, rather than an individual nonprofit organization. A few of the most prominent Field of Interest funds at The Community Foundation include the Women’s Legacy Fund, the Growing Together Initiative Fund and Access for All Fund. Field of Interest Funds support organizations working within a specific geographic region; toward a specific purpose, such as supporting the arts or education; or with a specific population, such as children or the elderly. Each Field of Interest Fund was established with a specific charitable purpose in mind and, in perpetuity, will continue to support the issues that the donor cared about most. By establishing a field of interest fund, you can target your gift to address specific interests you may have. You identify your personal interest area when making your gift and our board makes grants to community organizations and programs that are making a difference in the area you select. Your gift stays flexible enough to meet community needs in your interest area, even as they change over time. While you define the field of interest for your fund when you create it, we take care of the maintenance. We continually monitor community needs so you can be sure grants made in the name of the fund make the most impact in your field of interest and create your personal legacy of giving. For more information contact Donor Services and Communications Manager Annie Frew at annie@cfsloco.org or 805-543-2323. Please use the links below to find out more about some of our featured field-of-interest funds. For more information about any of these funds, please contact Program Associate Erin McCall at erin@cfsloco.org or (805) 543-2323. The Women’s Legacy Fund mission is to be a catalyst for philanthropy that improves the lives of women and girls in San Luis Obispo County. Established by the Foundation Board of Directors in 2003, this fund is the only endowment fund in the County which targets the needs of women and girls alone. Only the earnings are distributed through grants each year, allowing the fund to contribute to the community in perpetuity. 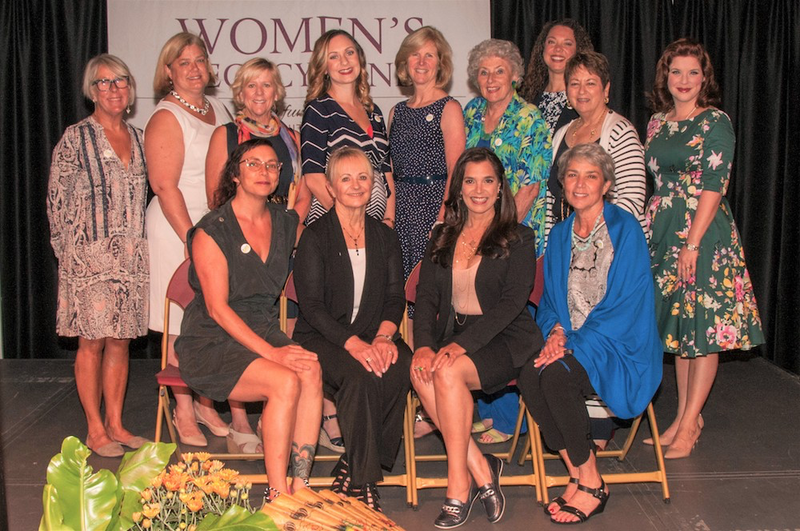 Through the efforts of the Annual Women’s’ Legacy Fund Luncheon, the endowment has grown to $1.4 million and grant awards have totaled more than $400,000. Each year, hundreds of Legacy Leaders who have already contributed $1,000 or more to the fund make an annual contribution of $250 to sustain the fund. Based on compelling data both nationwide as well as in California, the need for a fund in San Luis Obispo County focusing on the needs of women is apparent. Grants from the fund support organizations that assist women and girls to strengthen their physical, emotional, intellectual and financial well-being. Each year the WLF’s Advisory Committee identifies a focus area for grant-making from the broad fields of economic independence, basic needs, safety, reproductive health, education and mental health. The annual Women’s Legacy Fund Luncheon is held the last Thursday of September and features a keynote speaker that addresses topics that relate to the well being of women and girls. Each year approximately 700 community members come together to celebrate the impact of the Women’s Legacy Fund grant-making and learn about the challenging issues that the women and girls of our community are facing each day. The 2019 luncheon will take place on Thursday, September 26 and tickets will be made available in July. Progress for Women – Awarded to a woman whose commitment to a particular program or issue of special relevance to women has helped to improve the quality of life for women. Community and Public Service, Professional – Awarded to a woman who has, by virtue of her profession, distinguished herself by outstanding professional service to the community. Community and Public Service, Volunteer – Awarded to a woman who has distinguished herself as a volunteer by providing outstanding service to the community. Grace N. Mitchell Lifetime Achievement -Awarded to a woman with distinguished service and dedication to women in more than one of the three categories, and over an extended length of time throughout her professional or volunteer career. For a list of Women of Distinction honorees click here. To submit a nomination during the month of January click here. Women’s Legacy Fund – Endowment – a permanent endowment to support programs and projects of local organizations that address the issues and needs of women and girls. Women’s Legacy Fund – Operations Support – established as a means to support the operations and ongoing work of the Women’s Legacy Fund. For the latest updates, follow the Women’s Legacy Fund on Facebook. With the goal of creating an inclusive environment, The Community Foundation’s Growing Together Fund was established in 2001 through grants from the National Lesbian and Gay Funding Partnership and contributions from local donors. The fund supports numerous LGBTQ educational opportunities each year through the leadership of the Growing Together Fund’s Advisory Committee. The committee includes Community Foundation staff and Board members, and representatives from various local constituencies: education, law enforcement, faith communities, LGBTQ organizations, and concerned community members. In order to identify the issues and service needs of the local LGBTQ community, the Growing Together Initiative Fund Advisory Committee developed and administered a Community Survey. The Survey was administered in 2001, 2008, and most recently in 2014. You can see the complete report about his latest survey by clicking here. Along with identifying service needs, the Survey has provided a method for gathering information about the health and wellbeing of the LGBTQ community, local community involvement, and local support for LGBTQ individuals, i.e. organizations and sources of information for this community. The Growing Together Initiative Fund distributes grants to local organizations that focus on the principles of social justice, a civil society, and safety of our youth. On behalf of our donors, more than $280,000 in grants have been provided since 2002. An endowment fund of more than $370,000 supports local efforts focused on community inclusiveness now and in perpetuity. Community Action Project grants specifically intended for emerging local needs projects. It is also designed for projects where almost all labor involved is voluntary, and all that is funded is materials, facility fees, and other non-labor costs. The most an organization or individual can request and receive using this application is $1,000. Advocacy Beyond Campus – Projects that reach out to the local community. Examples: providing youth speakers for community meetings, participating in Pride in the Plaza, club community service activities. Continuity of the Club/Sustainability – Projects that work to increase the sustainability of Gay – Straight Alliances Clubs. Examples: increasing membership, outreach to allies, training for existing members, club presence at school wide activities such as homecoming, club buttons, stickers and t-shirts to increase awareness of club. To apply for a grant from the Growing Together Initiative Fund during our annual spring grant cycle click here. To apply for a Community Action Project grant in the amount of $1,000 click here. To apply for a Gay Straight Alliance (Gender Sexuality Alliance) of $500 during the school year click here. 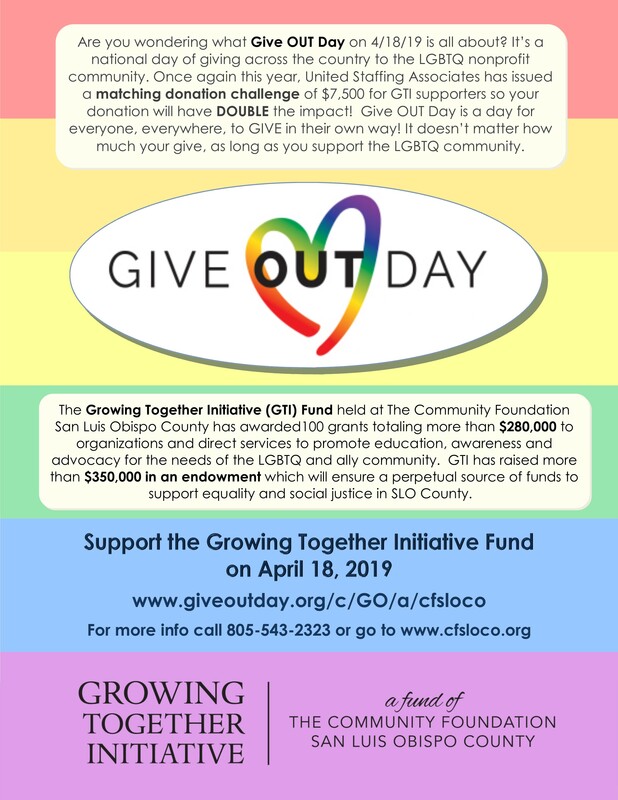 Support GTI during national Give OUT Day on April 18, 2019 by clicking here. To make a general donation to the Growing Together Initiative Fund click here. For the latest updates, follow the Growing Together Initiative Fund on Facebook. 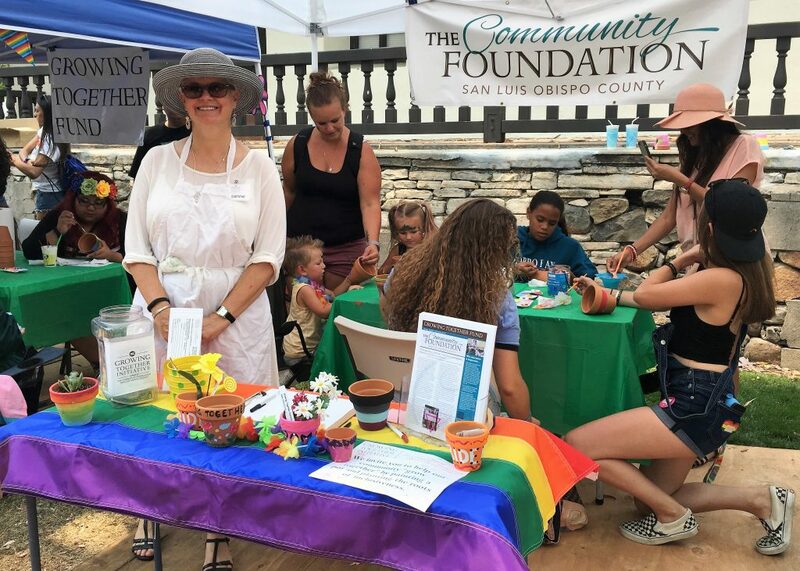 The Access for All field of interest fund promotes accessibility, acknowledges advocacy work, and provides connection between communities throughout San Luis Obispo County. We advocate for an accessible, diverse and welcoming community that values disability and encourages the full participation of people with disabilities in all aspects of life. We envision a community in which accommodations and opportunities for people with disabilities are equitable to opportunities for the general population. 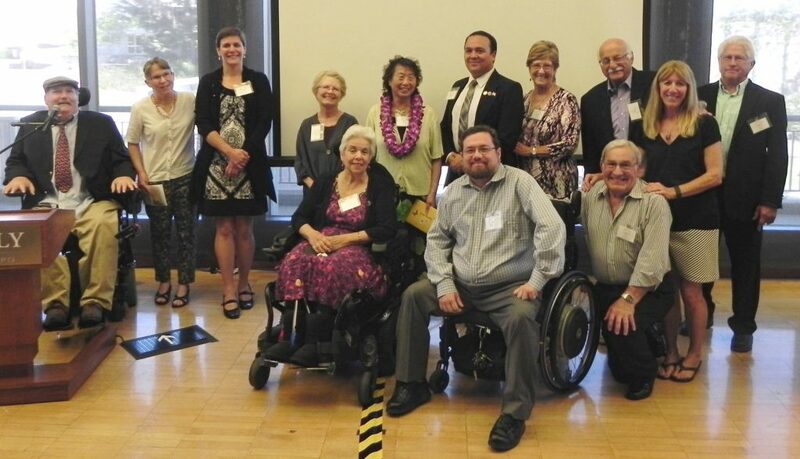 The annual Paul Wolff Accessibility Advocacy Awards (PWAAA) were established in honor of local architect and accessibility advocate Paul Wolff. These annual awards recognize and honor those who strive to make San Luis Obispo County a barrier-free community. The Access for All Advisory Committee oversees all aspects of implementing the biannual (PWAAA) Program, including solicitation of nominations, evaluation and selection of award recipients, and the award presentation ceremony. For more information about the Access for All as well as a list of resources check out their website at www.sloaccessforall.org. If you are interested in supporting one of these field of interest funds, you can do so now on our website by using the Give Now button. If you would like to establish a fund of your own and like more information, please contact us at (805) 543-2323. To make a donation to the Access for All Fund click here. Learn how to establish a personalized fund. Determine the best way to give through a planned gift. Discover a full range of giving options for donors. Review the services we provide for an enduring community legacy. Learn more about our popular “In Our Backyard” donor events. Experience the power of philanthropy through emergency assistance.